My friend Ruth is doing something cool on her blog called "Flaunt A Friend Friday". Each week she celebrates the efforts of someone she knows and highlights what makes them special. How much better would the world be if everyone looked beyond themselves and praised their friends on a regular basis? Even just one day a week would bring joy to everyone. Additionally I have found many people look to find flaws in all that is around them. I think we should do just the opposite and look for what makes people, projects, companies, products )and all the random stuff) unique and exciting. Therefore I am going to copy Ruth's idea and each Friday on The Some Assembly Required Blog I am going to have a feature known as "Parade". Today I want to highlight Sweet Leaf Tea. I realize that not everyone who reads this blog will be familiar with this delicious soft drink product, as they do not yet have full international distribution. However, some day soon you will know about Sweet Leaf Tea, and discover how good it is to drink! The company is based in Austin, Texas and is a quintessential Austin company. They have a great product, but more importantly the people who work there are cool. I have met some folks at the company (although I do not know them well), and they all enjoy their jobs and they LOVE their iced teas. I am going to let you in on a secret....the best flavor is the Peach Iced Tea. I always buy one at Taco Deli (another wonderful local company) or other restaurants and coffee shops that carry the product. I have also heard that the Mint Tea mixes will with Tito's Vodka (yet another cool Austin company), creating an adult beverage known as a "Tito's Sweet-O". Sounds good on a warm Friday afternoon!!! If you can't get Sweet Leaf Tea in your geographic area....then hound your local markets until they wise up. Congratulations to Sweet Leaf Tea for being just the unique type of company and product that deserved to be the first post for the "Friday Parade" on this blog. C-Level executives are busy people. I have heard that CFOs in large companies have twice the work load they did ten years ago due to Sarbaines-Oxley, IT and other compliance and security issues that now fall on their desks. So what is a sales person to do? Leaving a voice mail or sending emails garner almost no response from executives. It is causing major frustration amongst event the most seasoned sales professionals. Creativity, tenacity and tapping into your business network is how to get noticed. If you discourage easily, it is time to pack up and find a new career. You need to become "A little bit famous" in your industry so that your prospects know in advance about you and your company. You need to find ways to regularly and professionally put your name in the view of your target companies. The only answer to getting noticed is to take the initiative. Out of sight is out of mind. Be visible and you will win more business. Sit back and wait for people to find you and it could be a long and lonely wait. 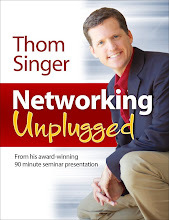 ****If you are in search of a speaker for your next business event, please contact me at thom@thomsinger.com. 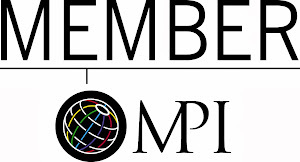 The Some Assembly Required Blog is hosting the first edition of The Networking Carnival. I have never done this before, so please be patient with me. I hope to do this right. 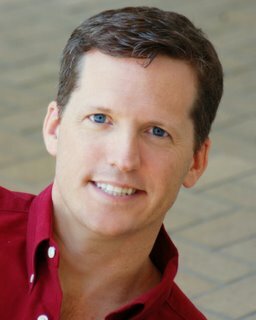 For those of you who are unfamiliar with a blog carnival, you create a post on your blog related to "What is your best tip on how to make, grow and keep your business relationships - and turn them into real business", and let me know about it by October 1st (send me the link along with a short description). On October 2nd we will post all the links to the related blog articles that are submitted. My expectations are that there will be some amazing advice, stories and other gems of information from all over the blogosphere. Thank you in advance to all who participate. PS- Please tell your friends about the Networking Carnival. thanks!!! Austin Event of the Week!! How do you build your signature story? Many times, we are taught to prepare a “30 second elevator speech” in the event that we need to sell ourselves in a short period of time. However, this installment of the breakfast club will take a different approach. Your “signature story” shouldn’t be one that anyone can latch onto. It should be unique to you and your business. Join the Greater Austin Chamber of Commerce on October 12th at the Rio Grande Mexican Restaurant, 301 San Jacinto, as Scott Ingram, owner of NetworkinAustin.com and I will facilitate this early-bird approach to networking over breakfast. This is your opportunity to participate in unique and informative hands-on workshop. 7:30 AM!!! The Breakfast Club will be hosted and sponsored by the Rio Grande Mexican Restaurant. This event is open to Chamber members only. Cost to attend is $10 and includes breakfast. Register now. I recently had a disagreement with a friend. I don't want to go into details, but I had removed a comment he left on a post to this blog that was more of a "funny barb" between friends than it was real dialogue that encouraged discussion on the topic. I think he was offended that I removed his remarks, and we traded emails as to my reasons. I get a lot of comments that are from other bloggers who are promoting their own blogs which are so unrelated it is silly. Often they will say something like this: "Hey, you have a great blog here. You should check out what I wrote on my site that deals with organic home cleaning products. It is called Green and Clean. Click here." I remove such comments because they are of no benefit to the readers of The Some Assembly Required Blog. The same goes for my friends who make unrelated, humorous or personal comments. If it does not advance the discussion, I am not sure that those who spend their time reading this blog are interested. (Feel free to tell me if I am wrong. I do not delete comments that disagree with my points as long as they are civil). I did not remove his comment as a personal assault. I removed it because someone pointed out to me that such comments detract from the blog. I agreed. Our email disagreement was civil and he made some great points. I will not publish them here, as they were a personal exchange....but I did like the back and forth. I think we learn from conflict. If everyone we encounter always agrees with us, I do not think we learn and grow. I do not believe this hurt our friendship, in fact, I thank him for his thoughts on the matter. It is like politics. Too often people shy away from talking politics with those whom do not share the same beliefs. But if all you do is talk with those who see the world as you do, then you run the risk of missing out on valuable other points of view. I enjoy a heated (but informed and respectful) political discussion. I often learn things in such exchanges. The same is true in the blogosphere. So what do you think about this? Please leave a comment (and maybe I wont delete it!!!). The lima bean is under-appreciated. My wife actually hates lima beans. She will not serve them. Meanwhile I enjoy the light-green legume. One night when she was away at a meeting I introduced the lima bean to my daughters. A big hit in the green vegetable category. Now on nights when Sara is away....we get to eat lima beans. I realize most dad's serve pizza or spaghetti (or ice cream for dinner!) on the nights when the wife is out. But in my crazy life....Jackie, Kate and I eat lima beans. I have added two new blogs to my blogroll. Both are informative and make me smile. While wildly different, both of these bloggers are on the smart when it comes to all things bloggy. ****I also removed a number of blogs from my blogroll that were stale. These bloggers simply did not post often enough, and were not interesting to me any more. The following is the philosophy of Charles Schultz, the creator of the"Peanuts" comic strip. You don't have to actually answer the questions. Just read the e-mail straight through, and you'll get the point. The point is, none of us remember the headliners of yesterday. These are no second-rate achievers. They are the best in their fields. But the applause dies. Awards tarnish. Achievements are forgotten. Accolades and certificatesare buried with their owners . Intersting, huh? I had trouble with the first quiz, but the second one was a breeze. ***Thank you for reading The Some Assembly Required Blog. 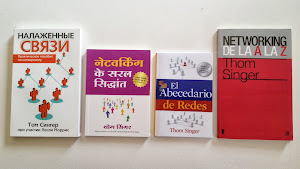 If you are interested in hiring me as a keynote speaker for your next business event, seminar, luncheon or 2007 strategic planning session, you can contact me at thom@thomsinger.com . Find some time to get away and quite down your thoughts. I find that I am trying to do so many things everyday: Be a good husband and father, do my job, promote my book, write this blog, expand my industry knowledge at work, keep my car running well, be a good friend, grow my network, cultivate my network, read books, read magazines, write business articles, edit my second book, watch the news, learn something new, do my laundry, read to my kids, stay current on email, etc... that I never take any time just to sit quietly. I never thought I needed "down time". I have kept up my wildly fast pace for over a two decades. I never desired time to just sit and be. Not be anything specific (like a salesman, author, husband, father, friend, employess, co-worker, neighbor, speaker, etc...)...but just be. I had some time to do this the other day. I just sat and tried not to think about my goals, hopes and responsibilities. Instead I tried to just clear my mind and appreciate the silence. It was hard to do. Very hard to do. But I kept at it. I just sat. When my thoughts started to run wild on millions of issues...I would push those thoughts away. Shhhhhhhhhhhhh. Just be quiet. The amazing part of doing this for a whole hour was that it got easier as time passed. I felt so relaxed afterwards. I had more energy. My focus was better. I think that I discovered something in the quiet. Now the trick will be to find time to do this regularly. I woke up this morning remembering the day my first child was born. I am not sure why, as her birthday is in May. Nonetheless, I recalled holding her for the first time and looking into her blue, blue eyes and promising to be a good dad. Nine and a half years later, I guess I am doing alright. She is smart, witty, usually nice (but not always to her little sister), ambitious, focused (she is a karate blue belt), and most of all she seems to love me. From what I understand, I have about four years until she turns on me and becomes a teenager. Uncharted waters around the Singer house. I come from four generations of boys. My three brothers have eight sons between them. I have no idea what the future holds in raising two girls. Yet everyday is an adventure. Today I bribed her to play with her sister at a church luncheon event made up mostly of adults. And not just a bribe...a premeditated bribe. I secretly brought two candy suckers with me to church. When the kids began to ask "how much longer? ", I produced the candy from my pocket and asked them if these could keep them happy for thirty more minutes. Sure enough, it worked. But then I wonder if that is bad parenting? What message am I sending to them by rewarding them to go off and play for a half hour? Is candy really a good answer? Is this different than what happens at work? Are we not given bonuses for going beyond the call of duty or for completing a task (and I do feel for the kids having to be at a luncheon on a beautiful Sunday afternoon). While I want to teach my children just to behave for the sake of behaving, I am not so far removed from being a kid. But was that living up to my promise of being a good dad? Or did it short-change her for some important life lesson that I could have taught? Either way, they went off and played and both of them seemed to love the candy. Smiles all around. This is being posted so I have a live url link. I am not so vein to post my own pic! This post on Frank Hamm's blog made me smile. Proof that better business networking skills are now sweeping Germany. While in Idaho for a wedding last weekend I was awakened at 2:30 AM in my hotel room by a group of fellow hotel guests returning from the bars of downtown Boise. They were loud. They were laughing. They were drunk as skunks. A cackling patrol of late night revelry ensued in the hallway for nearly twenty minutes. I considered opening my door and yelling at these wild twenty-somethings, or calling hotel security. I had gotten to sleep around midnight, and had a busy day ahead of me on Saturday. I was annoyed, and worst of all, I was awake at 2:30 AM. But then I remembered all the times in my youth that I was the one who maybe made too much noise late at night. While I was always one to try to be courteous, I know that I did not always succeed in these types of situations. Did I really want to be that intolerant old-guy who called the front desk? Nope. Instead I rolled over pulled the pillow over my head. I was bothered, but I did fall back to sleep. I think too often we snap to judgment, get mad, feel put and otherwise feel self-important. This was a good reminder to me that while these folks were being inconsiderate, they were not out to ruin my slumber. They were just caught up in their own fun. I am happy that I decided to just let it pass. I think we all need to occasionally take a step back and not think everything is personal. These hotel guests did not set out to wake Thom Singer (although a few less drinks and the realization of others in the hotel might have crossed their minds!). Therefore, I should not have made the situation about me. I also did not feel the desire to pound on their door at 6:30 AM when I awoke. Revenge, while maybe sweet, would not have made my life any better. Instead, I just wish them well and take pleasure in the fact that these people had a lot of fun on Saturday night. I think I need more adventure in my life. Am I alone in that feeling? I am currently reading a book by Jim Rogers called "Adventure Capitalist", which is a follow up to his wildly successful best-seller"Investment Biker". Twice Mr. Rogers has traveled the globe in search of anything and everything one can discover. The first time by motorcycle, and this time in a custom designed 4-wheel drive Mercedes coupe. He has the advantage on me in his quest for uber-adventure in the fact that he is rich. Not just a little rich, but the kinda wealth that lets you play by your own rules. 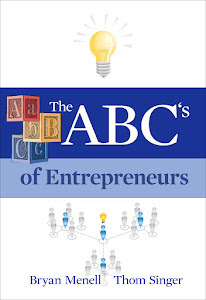 The first sentence of the book says "I entered the investment business in 1968 with six hundred dollars in my pocket, and left in 1980, at the age of thirty-seven, with enough money to satisfy a lifelong yearning for adventure." But this yearning is not about wealth.... it is about discovery. I actually have no desire to ride through war-torn regions of the earth or risk robbery and kidnapping by mobsters. I think I desire more modest adventures. Yet, his book is inspiring just the same. It is something about the variety of people that he gets to spend time with, and the cultural delights that he experiences that has raised my thirst for something new. At forty-years-old I am as happy as I have been in a long time. Maybe happier than ever before in my life (and I was a happy kid). Yet I have a pang in my gut that is calling me to not just be happy, but to savor the world around me and to explore more of what it is that makes a person "human". This feeling did not materialize from reading this book, it has been there for months, but this book has me thinking. And thinking is a good thing. So what does it take to find adventure? Is it found in ultimate road-trips like one sees in the experiences of Jim Rogers (and others like him)?. Would bungee jumping fill up that sense for more? Or could it be more simple? Is it like Dorothy in the Wizard of Oz, who had what she was looking for all along? ***Thank you for reading The Some Assembly Required Blog. I am available to speak at your next corporate event. My presentation, "Some Assembly Required: How to Make, Grow and Keep Your Business Relationships" is an interactive and thought provoking look at how to cultivate your business network. More information is available at www.thomsinger.com. Congratulations to Kurt Gregg and Beth Kimball who are getting married today in Boise, Idaho. Kurt's family lived across the street from mine when I was growing up in Arcadia, California. I was around 13 years old when they moved in, and Kurt was a new baby. I was his babysitter on many occasions and he became the closest thing I ever had to a little brother. My mother was dying of cancer when I was in high school, and the Gregg's home was my get-away. Kurt's mom and dad were good to me. They became my friends, my sounding-board, and my mentors in many ways. They became my second family. Time has passed and we have all moved away from Southern California, but they still treat me like part of their family. Kurt is now 27-years-old and he turned into one of the finest young men one could ever know. 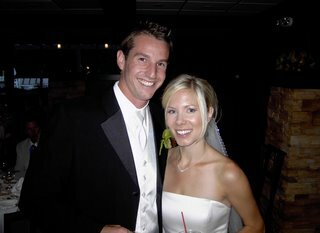 His bride, Beth, is beautiful, smart, and self-confident. I have the honor of being here in Boise to celebrate with them. Kurt and Beth have a wonderful life ahead of them. They are fortunate to have such amazing friends and family around them,... and examples of unconditional love. Congratulations to Mr. & Mrs. Kurt Gregg. Do not over analyze everything you do when it comes to business development. I recently had a phone conversation with an attorney who wanted to do some marketing and increase his networking activities. He had some great ideas about how to position himself as an expert in his local community....but he was very nervous about taking action. He was worried about the font he used in a newsletter, the color of the paper, and how prospects would react if he invited them to educational seminars on his area of the law. He spent so much time thinking, he spent no time doing. Nike knew what they were saying when they said "Just Do It". How about you? Are you spending too much time on research and planning? 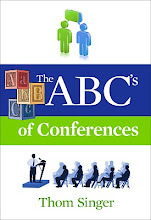 ***Are you interested in hiring Thom Singer as a keynote speaker for your business event? If your team could benefit from learning more about how to make, grow and keep their business relationships, give me a call. I recently heard former NFL player Johnnie Johnson give a talk where he told the story about his first varsity football game in high school. He was a freshman and the coach put him in the game to return the kick-off. With the stands full of his family and friends, Johnnie dropped the ball. Four years later in his first college game at the University of Texas in front of 55,000 fans he did the same thing. Four years later he was the number one draft pick by the Los Angeles Rams. Dropping the ball is not the end of the world. World-class athletes, like Johnson, have all fumbled footballs, struck out at the plate, missed a free-through and botched the critical putt. These mistakes do not derail their careers. The same is true in business. Many of the most successful have lost key accounts, failed to get promotions and have been fired. So what? The journey to victory can be long and hard. To excel you need to continue to keep going and discover ways to reach your goals, despite the road blocks along the way. I was laid-off three times in six years because of companies going out of business or closing their local offices. It is not fun to have your job evaporate. But I kept going. Like Johnson, I had to pick up the ball and start running. Regardless of how bad I felt. I now have the best job of my career and a new book. As for those lay-offs, they are now part of history. Without those unfortunate events I may not be where I am today! The old saying "what does not kill you makes you stronger" is true. Look to the future, not to the dropped ball. Batting .300 in baseball means you only get a hit one third of the time. I have many things I want to accomplish in my career and personal life. I find my job to be challenging. Some days I fail. But I am back the next day looking for ways to decode success. Promoting a book is harder than writing a book. While lots of people think it is "cool" that I wrote a book, not everyone buys it (But you can buy it at Amazon.com!). 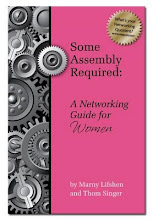 I have long term plans for "Some Assembly Required: How to Make, Grow and Keep Your Business Relationships". The title of the book says it all....you have to do the work to put it all together, success does not just happen!!! I cannot spend my time focusing on where I have dropped the ball....I have to pick it up and run like hell. ***Thank you for reading The Some Assembly Requried Blog. 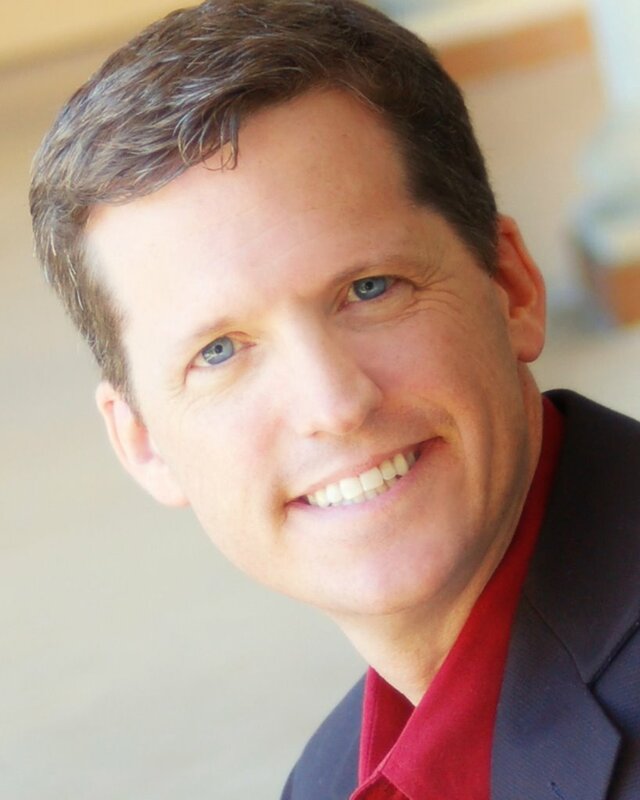 If you are intersted in having an energetic and informative training presentation on business networking skills at your law firm, accounting firm, business or industry conference, please contact me at thom@thomsinger.com. Austin Event of the Week!!! If you live in or near Austin, Texas,....please join Scott Ingram (of NetworkInAustin.com) and myself for an informative presentation called "Beyond Networking: Defining Your Next Steps" on Tuesday, September 19th at 4:30 PM...hosted by the Greater Austin Chamber of Commerce. The event will be held at Austin 300, 9504 North IH 35, Austin, Texas. Cost of the event is $30 for members of the Chamber of Commerce, $45 for non-members. 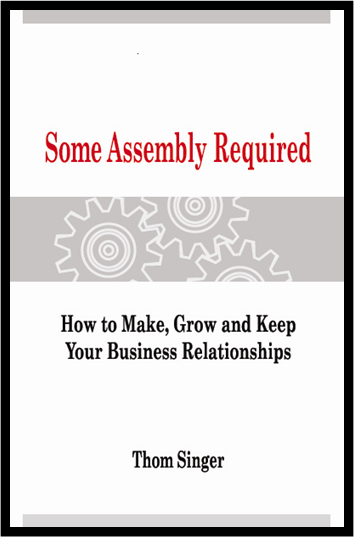 The first 100 people to sign up will get a free copy of my book, "Some Assembly Required: How to Make, Grow and Keep Your Business Relationships" (New Year Publishing, 2005). To obtain more information or to register for the event....CLICK HERE. ***Thank You for reading The Some Assembly Required Blog. If you are interested in hiring me to speak at a business event, a 2007 strategic planning session, law firm partner retreat, etc.... please go to www.thomsinger.com for more information. Relationships are more important that ever before in today's high tech world. Even though we can instantly do business with anyone around the world, via the internet, people still do business with people they know and like. Professional services firms rely on their senior "rainmakers" (and their strong professional networks) to make sure that they have new business. 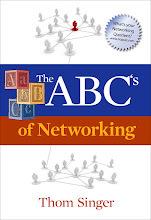 Those who understand how to use their business connections and can produce results are the "Chief Networking Officers" for their companies. While these rainmaker's official titles are not "CNO", their role can be every bit as important as other "C-Level" positions. Do not discredit the importance of human connections in the business world. Just because you might not like to network, do not discredit the value of those who do it well. *Establish a differential advantage in a competitive market. *Deal with a pre- or post-merger situation. *Reduce costs through cross-boundary collaboration. *Improve employee loyalty and morale. *Create a unified corporate culture. *Build or improve relationships with alliance partners. *Develop a cross-boundary source of skills and talent. *Add interpersonal relationship management to an advertising campaign. *Establish a common ground for the organization's networking activities. *Transform into a flat organization. If you answered "yes" to the above questions, then you should evaluate how you treat the human capital inside and outside your firm. While I do not think that most companies will run out and hire CNO's (although some should!!! ), the truth is that you probably already have individuals in your firm who fill this role. You need to champion your natural networkers and encourage their efforts. In the end, it is results that matter. A networker must help raise the visibility of the company, attract more prospects and clients, and positively impact the company. While the purpose is higher sales, not every interaction is going to produce immediate tangible results. Networking is not about short term wins. A successful CNO knows about patience. My daughter, Kate, is four years old. She is one of those kids who has two speeds....FAST and asleep. There is no in-between. She is all energy all the time. I took her to the park on Sunday and just watched her go. I always learn something from Kate. She tried everything: the swings, the slide, the jungle gym, the sand box, etc.... She wanted to make sure that she had a turn on everything in the park. Some things were easy, some were scary, but she just kept going. Then she started to look for other kids to play with. She just walked up and started talking with kids of all ages. Many ignored her, but that did not stop Kate from trying to play with them. Before long she had about six other kids all hiding and seeking. Her persistence paid off and she spent nearly an hour inventing new games with the other children. 1. Try lots of things. Do not leave any stone unturned. You never know where you will find the best parts of your job. Ignore anything and run the risk of missing out on victory. 2. When trying to find clients, prospects and referral sources.... be tenacious. Do not give up just because they do not return your phone calls the first time. You have to keep at it, and eventually you will have the break through successes you desire. Ahhhh, what we learn from the youth of the world!!! The world of selling has changed, but most people who sell to large companies have not yet realized the new paradigms. Instead they use the same old techniques hoping to see the same results. Yet it is not working. Busy professionals inside mammoth firms are unable to devote any time to returning phone calls, much less letting sales people schedule appointments. Author, consultant and speaker Jill Konrath knows what is different and she does a superb job of sharing what she has learned over the last two decades in her new book, "Selling to Big Companies". An experienced sales professional, Konrath has been in the sales trenches herself, so the book is full of tried and true - roll up your sleeves - useful advise for anyone who finds themselves trying to sell to large organizations, only to be continually frustrated. I found myself nodding through the first half the book, as I personally know the pain of trying to sell to big companies. As I cruised through the second half I was taking notes and looking at ways to better grab the attention of my prospects. Jill's website, blog, newsletter and seminars offer additional nuggets of informative information of the novice or experienced sales person. Sometimes a book is a MUST READ. Jill Konrath's "Selling to Big Companies" is one of those books. Available at Amazon.com. Due to the very high number of blog readers who entered the drawing to win a free signed copy of my book, I have decided to award four copies of the book as prizes (not just two). Thank you to many readers who emailed me. The books will go in the mail later today. Enjoy, and tell a friend!!! ***If you did not win, but would like to purchase a copy of "Some Assembly Required: How to Make, Grow and Keep Your Business Relationship", the book is available on Amazon.com. Do not dwell on your past failures. Everyone has made mistakes or attempted new experiences that did not work out as we had desired. If you spend your energy concentrating on what did not go right, you will lose your chance to remain focused on the tasks at hand. I once heard author/speaker Jim Rohn say "there are no failures, just learning opportunities". I agree. If you do not attempt to expand your skills, you cannot grow. But trying involves risk, and that means that the outcome is not guaranteed. However, nothing ventured, nothing gained. To have a shot at winning, you must play the game. Therefore, you never lose for trying... otherwise you are living a stale life. Additionally, sometimes a person just makes a bad decision that has negative consequences. Making a real mistake can be painful and embarrassing. But if you learn from the experience, then it is not all bad. The trick is to not repeat the action and to use it as a foundation upon which you build upon. Successful people all have their share of failures and mistakes, but they do not let these mis-steps define them. Examine your life and decide if your past is limiting your future. Failure is not an option if you do not allow it to be. If you believe that there is no such thing as failure then you are guaranteed success! Thank you for reading the Some Assembly Required Blog. 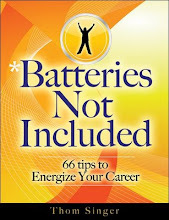 For more information on my book or to hire me a speaker for your next business event, please go to www.thomsinger.com. I am convinced that Network Evening News has jumped the shark. Not just CBS, but this effects all the major networks. Since April the ever perky Katie Couric has not been a reporter, she has been "the news". While cable news and the internet have overrun the network broadcasts (who gets home from work at 5:30 PM anymore anyway?? ), CBS has put The Fonze on waterskis in the disguise of the peppy Katie Couric. The $15 million dollar annual salary aside (good for her, by the way! ), CBS has spent a similar amount on a massive publicity campaign to convince America that their newscast would be so amazingly exciting with Katherine in charge. It wasn't. It was just a newscast. September 5, 2006 was the date to watch. Millions tuned in to view. Yes, having the first woman as the solo anchor of a network nightly newscast is historic. But with women having come so far in America in the last three decades, this was hardly revolutionary. Let us not forget that CBS had Connie Chung as Dan Rather's co-host many years ago....only to fire her and crush her career shortly thereafter. Ms. Couric did a fine job, but it was the most over-hyped half hour of television since Geraldo Rivera went in search of the ganster's vault. The point of this rant is that many people get so obsessed with any move that the celebrity elite make that it trumps what is really important in live. Does the color of Katie's hair really matter? Will a new set and theme song make a differnce when the story is tragic? But the networks live and die by ratings, so maybe it does matter. For me, I go back to my family, my job and promoting the book. Couric's debut will not effect any of those things. This week I am giving away two signed copies of "Some Assembly Required: How To Make, Grow and Keep Your Business Relationships" in a random drawing. To enter the contest, please send an email to thom@thomsinger.com and include your name, address and email. Winners will be decided and books will be mailed on Friday, September 8, 2006. Last week I had the pleasure of introducing two (business) people to each other. They hit it off immediately and it looks like they will be able to push a lot of business and opportunities back and forth. Talking with one them later she commented, "I definitely owe you now." I said that I've never kept score and never would. What goes around comes around. I've worked with people that are definitely keeping score. They purposely withhold referrals until they get something in return and know the numbers in their “referral ledger” at all times. Ooof! What a terrible way to make and keep business friends. Try not think of passing along opportunities as a down payment or special favor. Think of it instead as an investment. Over time investments will either produce a return, or in some cases none at all. I have on a couple of occasions stopped sharing; no need to keep watering the dirt if grass just refuses to grow. But most of the time I’ve been rewarded with wonderfully productive friendships, great referrals, and solid business opportunity. So my advice: Don’t keep score. Just keep good friends. The good things you give out will come back tenfold. ***I would like to add that while you don't "keep score", do be sure that those in your network are not taking advantage of you. Avoid people who are "users". My friend Ruth (aka: GuRuth, as in GuRu...which is a catchy nickname!!!) has started a new blog to garner the attention of Harpo Productions: "I Wanna Be On Oprah". I like it. It is spunky. But will Ms. Winfrey call??? Ruth's show idea for the popular television show is all about people who have risked it all. Ruth is looking for stories to post on her blog from people who have taken huge risks (with both successful and negative consequences) who will share their stories of their personal and professional journeys. I enjoy the story of her bracelet that says "Risk It All" that she wears daily. With no risk, you can have no reward. Good luck, Ruth. Let me know when Oprah calls. (I am still waiting for Oprah to contact me on my show idea about how the publishing industry has changed so much in the past few years, allowing people to self-publish and sell thousands of books via the internet). For the past few weeks I have been experiencing internet problems. My cable connection has begun to move at the speed of molasses in January. We had a Time Warner Cable guy at our house for another reason who proclaimed that the problem was that we have a "splitter" on our cable, since we have a TV and a computer in the same room. I doubted this was really the case, since it has been that way for three years and has always worked just fine. So we tried disconnecting the television cable. Still our internet activity is like a snail. A friend said it could be our computer, so I took the box to a computer expert for a diagnostic. $150 later, the computer had some other issues corrected and new anti-virus software, but the internet is not working any better (it worked great at the computer repair shop). I am frustrated. We have invited the cable company to come back for another look. Ten years ago I did not have internet access....now I require it....and I require it to be at the speed of light. Any ideas? I find the readers of this blog always have the answers to problems that I cannot solve alone. This is another perfect example of how having a network enhances ones abilities to overcome obstacles. I wanted to say "Thank You" to Glenn, who is a regular reader of this blog. He recently caught a typo in the "About Me" section. He sent me a very nice email pointing out the oversight. I appreciate both the action he took, and his professional demeanor in drawing my attention to the error. Take an interest in other people. Ask them about their career and personal aspirations. 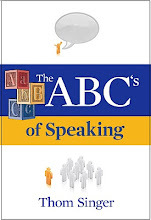 Listen as they tell you what they want to accomplish in their lives. Find ways to support those in your network. Discover how you can help them reach their dreams. Most importantly, when they have a success....celebrate with them. Make a big deal about their victories. If you don't do that for them, who will? Your network is not just about how other people can be there for you...it is about being mutually beneficial to those around you. Life can be tough without friends in your life to share the good and bad. People remember to be supportive in times of tribulation, but often forget to be there during the good times (We rationalize that if things are good, then they do not need our support). Your assignment: Think about two people in your life and reach out to them. Find out what is important in their lives. Celebrate their dreams. Create a safe nest of friendship where they can explore new ways to shine. Having someone to help you makes the climb to the top easier and much more fun.